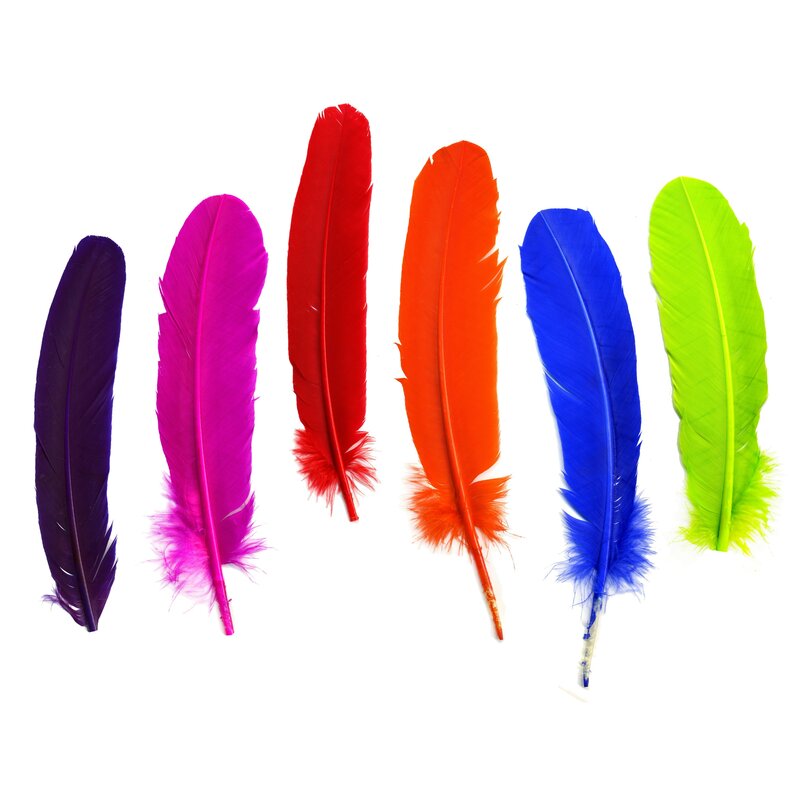 Turkey Quills Mix Dyed Feathers are approximately 10-12 inches long and come in a 25 piece mixed color value package. Mixed color assortments will vary. 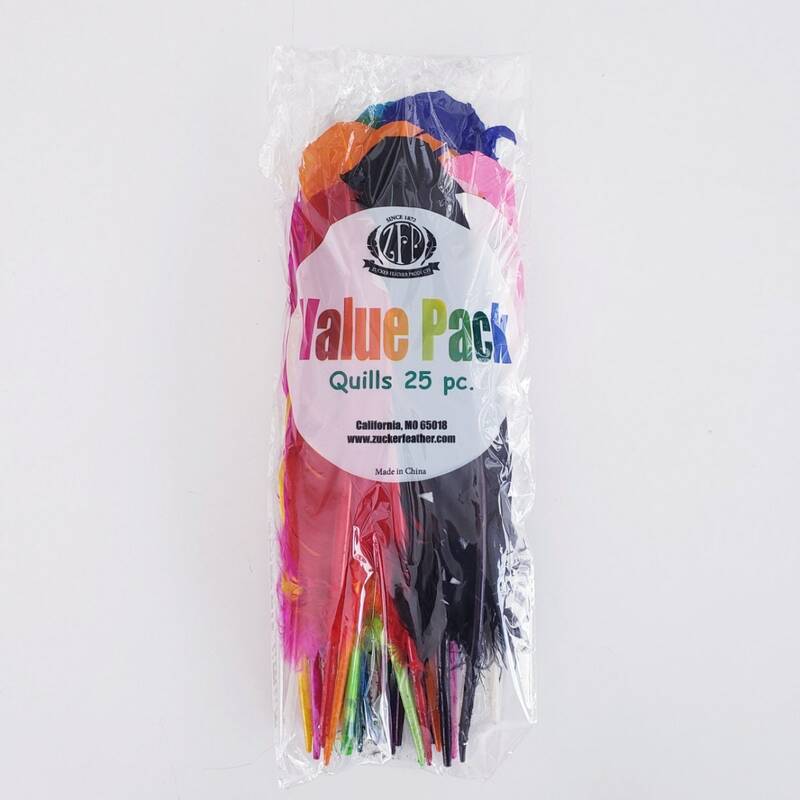 This product is part of our Packaged Feathers - Feather Value Packs category.